BOSTON -- Retail investors may not escape money market fund reform unscathed as the U.S. Securities and Exchange Commission on Wednesday proposed allowing funds to impose new fees and limits on withdrawing money in times of financial distress. It could be an unsettling proposition for retail investors who have had easy access to their money funds for the past four decades, using them for everything from writing checks to sweeping up extra cash they receive from dividends and selling securities. The SEC's proposal puts the $115 billion Fidelity Cash Reserves money market fund, for example, squarely in the crosshairs of reform. The fund's shareholder base is largely made up of millions of individual investors who use it as a core brokerage account or cash investment vehicle. Boston-based Fidelity Investments, the No. 1 money fund sponsor with $420 billion in assets under management, declined to comment as it studies the SEC's proposals. New rules could accelerate a shift out of money funds. After peaking at $3.9 trillion in assets in early 2009, money funds have dropped to $2.6 trillion, hurt by next-to-nothing yields and some scares in funds used by institutional investors during the 2008 financial crisis. And if investors pull more money, it could trigger an increase in fees for investors who remain. "Any reduction in assets will push costs higher," said Peter Crane, president of Crane Data, which analyzes money funds. "You'll have fixed costs spread over a smaller base and higher costs from more regulation." Under the SEC proposal, money funds that invest in a broad range of securities -- not just government debt -- could require customers to pay up to a 2 percent fee on withdrawals during times of financial stress. Fund boards of directors could also bar all withdrawals for up to 30 days. The SEC's goal is to avoid a run on funds like in 2008 when the Reserve Primary Fund "broke the buck" and repriced its shares below the $1 stable share price. That sparked a run on the fund as investors yanked $300 million, or 14 percent of assets. The redemptions only halted after the U.S. Treasury stepped in and provided a government guarantee. Since then the SEC and the money fund industry have been battling over the shape of reform for the industry. Earlier this year, Schwab executives said that if redemption restrictions were applied broadly across all types of funds, it would have a "devastating effect on the money market fund industry and render an enormously popular product much less appealing to individual investors and exacerbate systemic risk." 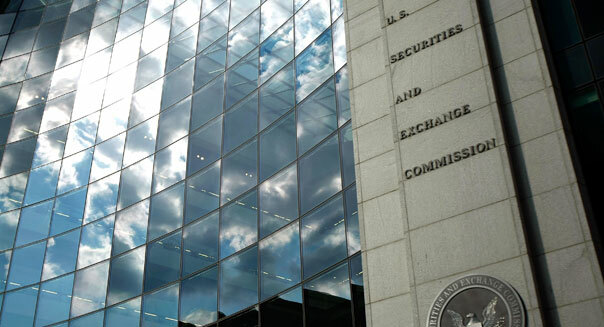 The SEC's proposal is a compromise because it allows funds themselves to determine whether they should impose fees and redemption restrictions. And money market funds that invest mostly in U.S. treasuries would be exempt from the fees and suspension of redemptions. But they could voluntarily opt into the proposed requirement, the SEC said. "We're pleased the SEC has taken action. We look forward to thoroughly reviewing their proposal, and sharing our views," Charles Schwab (SCHW) spokeswoman Alison Wertheim said. Meanwhile, retail investors are reconsidering their options. They can move their money to the safety of bank accounts or chase higher yields in slightly riskier ultra-short bond funds. In fiscal 2008, Fidelity Cash Reserves had $135.06 billion in assets, with the money market fund generating $242.4 million in management fees for Fidelity. But since then, assets and management fees have dropped 15 percent and 17 percent, respectively, according to filings with U.S. regulators.